On April 26th 2013 hundreds of attorneys, law students, legal startup founders, informatics experts, and venture capitalists gathered for the first ever Codex FutureLaw Conference (i.e. 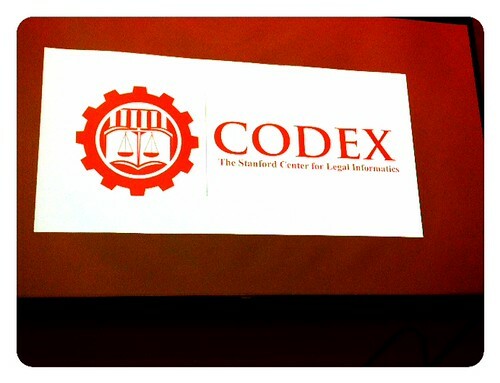 #FutureLaw) hosted by Codex— the Stanford Center for Legal Informatics . The day was structured in 5 panel discussions with a kickoff keynote by Charley Moore (Founder of RocketLawyer) and capstone keynote by Daniel Martin Katz (Co-founder of ReinventLaw Laboratory and Asst. Professor at Michigan State Univ). It was a day for thinkers and doers in the legal tech space to talk shop, exchange notes, and ask tough questions about the field.The Reinvent Law movement has been making its voice heard in Silicon Valley. 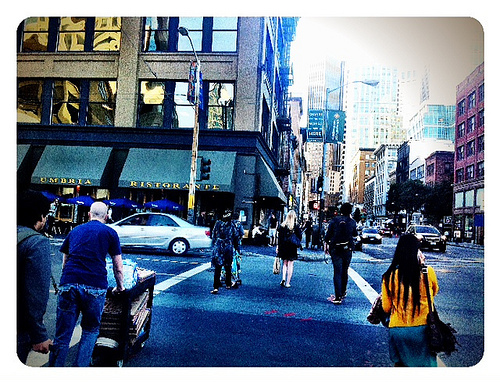 You may recall our recap of #ReinventLaw Silicon Valley through a compilation of tweets and photos. That event, in March 2013, brought together 40+ speakers in a rapid-fire format to discuss major issues, inefficiencies, and challenges facing the current legal system—and solutions that tech + design + delivery can provide. 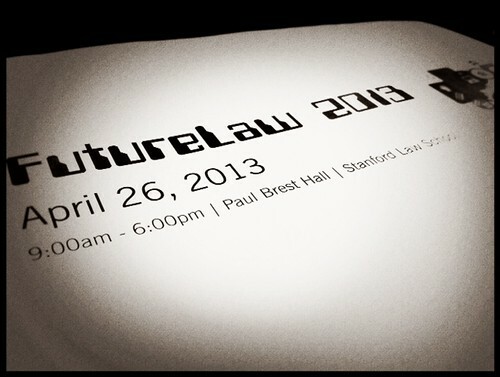 The #FutureLaw Conference at Stanford was a logical follow-up to the March event. It took place in a more intimate setting featuring fewer speakers, many of whom were leaders in this emerging space, in interactive small panels featuring significant audience participation. The exploration into the topic was genuine—with many of the panelists posing questions from the audience in other panel sessions. The atmosphere was collegial and conversations of concepts raised in the panels continued between participants during the breaks and lunch hour. As the day progressed I began scribbling broad concepts in the margins of my notes. Things that left me…wait for it… #mindblown, or that provided fresh takes on enduring concepts. The field of law is ripe for innovation. The industry has been one of the hardest-hit by the Great Recession. And while select firms and attorneys have survived, if not prospered, for each success there are countless numbers of law school graduates and attorneys who struggle to find a foothold in the field, and perhaps no longer even seek one. Idle/restless legal professionals + tech innovation has given new pathways to take a look at the field through telescope, microscope, and 3D glasses. What has resulted is a movement to disrupt the status quo, and examine the success of law through the lens of its constituents rather than its practitioners. This change of viewpoint lends to re-prioritization and re-thinking of what law should be, and what data and design-driven innovation can lead law to become. I wanted to share a few broad brushstroke takeaways from Codex FutureLaw 2013. 1. Contracts don’t need to be written documents. The second panel discussion of the day was on computational law and contracts. Panelist Kingley Martin (of KIIAC) brought up the fascinating question of “what is contract?” He reframed the traditional concept of a contract by specifying that above all, it is a “workflow design” and noting that we have chosen to express the workflow through words on a document. However, contracts could also be expressed as code or in a variety of other formats—some of which might be more suitable to replicating, customizing, and operationalizing. 3. Design for people first. Budding law students are instructed that one of an attorney’s duties is to zealously represent his/her client. 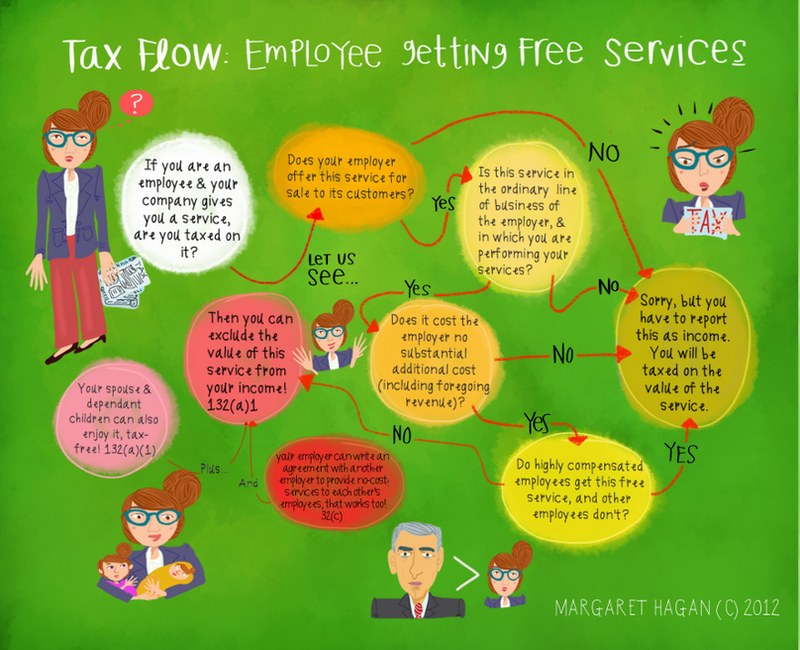 That makes sense for the lawyer, and the client…but not for the field of law. The result is a field that contains, gaping disconnects and inefficiencies, essentially by design. 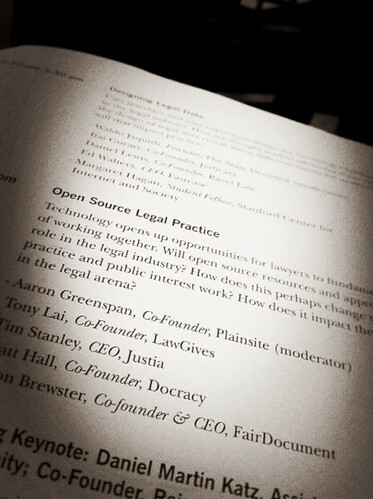 Instead, new legal startups are thinking about the participants in law as they design tools, UI, and resources. They are leveraging what people want to know about the law in designing tools to provide those resources efficiently, cost-effectively, while leveraging copious amounts of relevant data available. 4. Open source hybrids are OK. In one of the panels it was brought up that open sourcing legal information is particularly difficult because libraries of contracts, filings, documents, and research are precisely what distinguishes various attorneys and firms. Instead of a full open source mode, there might be innovative hybrid models that will enable attorneys and firms to retain their valuable information while also contributing to the overal open law movement. It doesn’t have to be an either/or thing. 5. Law can be “automated”. As consumers are already used to “boiler plate” language for everything from online shopping to buying a new car. Instead of recreating the wheel, maybe there’s a way to standardize it to make the content more accessible and understandable. Awhile back Innov8Social covered the movement to standardize #PrivacyIcons, lead by a group called Disconnect. Movements such as that one are showing us that parts of law can be made more efficient through smart automation. 6. Law can be re-imagined. When you are sitting at a library studying the Rule Against Perpetuities in law school or slogging away memorizing key concepts and case law for the Bar exam, there is little room for thought on ways to re-imagine the field of law itself. But the truth is, of course it can be re-imagined. Entrepreneurs and attorneys complain that the patent law system and taxation mechanisms haven’t changed or adapted to emerging needs and industries. The influx and availability of digital data also changes how we interact with the field. Not only can law be reimagined, it is almost feels imperative that the movement to do so continue. 8. Lawyers can re-invent law. It may be tempting to wait for changes to the field. But the conference showed that there are already a number of attorneys who are taking bold steps to reinvent the field. The final speaker of the day, Daniel Katz spoke to tangible ways that law school education can be tweaked to prepare the next generation of legal professionals—who have studied not only Torts but also computational law, informatics, and have actually worked with a team to pitch, code, validate, and launch a project leveraging law, tech, innovation, design with data and delivery. We have talked a lot about social innovation together. We’ve looked at bills that have passed that give social enterprise new legal structures, fellowship programs for the field, and tools social entrepreneurs can use as they climb the proverbial mountain where money meets meaning. One thing we haven’t covered is the importance of staying grounded. When you’ve chosen impact-driven goals, where your actions pursue profit but are not driven by them, and where risk of failure is incredibly high—it might be easy to feel a sense of self-righteousness about the cause you are addressing, the expertise you are developing, or the kinds of people you prefer to associate with. This is a friendly note to say, resist giving in. However understandable it may be to develop a sense of overconfidence about your expertise or social innovation knowledge, it is potentially dangerous in a field that demands creative thinking, endless collaboration, and a good listening ear. Forgetting the inherent “we” of social innovation could interfere with your efforts to create a positive impact.Avoid developing a social innovation ego, and recognize it when you see it in others. The sliver lining, is that humility reminds us to stay grounded. Just about as often as a room can be crowded by social innovation egos, you will meet someone who is humble, genuinely curious, and generous with their time, knowledge, and experience. Through interviewing various leaders in the field I have seen and experienced it. 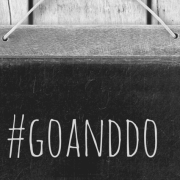 Take for example, Nathan Pham of GoodJoe. While interviewing him about his social enterprise I shared an idea I had been thinking about hosting a social innovation unconference (that post will be out soon). Instead of politely smiling and nodding and reminding me how busy he is, he began brainstorming on how we could make the grand experiment happen. Or, Gene Takagi of Neo Law. Though we have met in person exactly twice, he has been incredibly supportive and generous over all modes of social media. He exudes genuine dedication to the field and support for those exploring it. 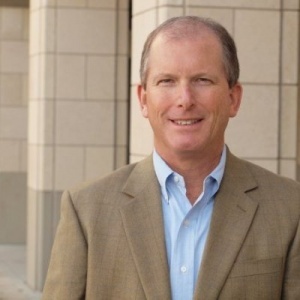 Another snapshot of humility is Kim Meredith of Stanford PACS. (her interview will be out soon). She heads the department that oversees philanthropy and that is home to the Stanford Social Innovation Review. In interviewing her I was absolutely struck by her warmth and genuine passion for the field. There have been countless others who I have met once or regularly stay in touch who remind me to stay grounded through their own energy and poise. So, what do you do when you encounter egos in the field? One line of thinking is to first start by checking your own behavior. That is, just like you check your phone to make sure it’s off silent when someone else’s rings at a movie theater; when you observe ego creeping into a social innovation effort, it can initially be the perfect reminder to make sure you’ve checked your own at the door. By reframing the situation and choosing not get caught up in a battle of might, you may provide just the gentle reminder and space to help others stay grounded. After that, however, the water becomes murkier. If a certain viewpoint or personality is overtaking a social innovation effort, do you back out or dive deeper? A great deal likely depends on personality. If you work best in a collaborative state, you might do better to find like-minded collaborative-thinkers. If you, instead, thrive in banter and don’t mind the debate then stay, challenge, and fight it out until a resolution is reached. Some may say that the social innovation seeks to disrupt traditional business, law, and finance precisely because they have been driven by over-zealous egos. To that end, we may need to check ourselves to ensure that while doing so, it is for the purpose of serving a greater good. Then we can measure our own involvement by how we can best serve the greater cause. Gandhi once said, “the best way to find yourself is to lose yourself in the service of others.” And perhaps the best way to find the path for social innovation is to remember that its essence lies in service. Cities, large and small, share certain characteristics such as increased population density, parking scarcity, perhaps some form of public transport, usually a higher cost of living, and often rely on sourcing food and water from surrounding areas. While these characteristics can lead to classic have and have-nots, technology is emerging as a powerful leveling force that can blur socio-economic divisions in some ways, while creating new divisions in other ways. This post focuses on the far reach and impact mobile technology has on urban areas. 1. Mobile technology provides access. Mobile technology enables access—to resources, news, information, knowledge, and commerce. With a smartphone, app, and network connectivity a person can pay a bill using banking apps, call another country using Skype, FaceTime or Google Talk, expand their vocabulary using edtech apps like Knowji, deposit and transfer funds, make purchases, put in a pickup order for dinner, participate in the sharing economy, share their location, and much more. These kinds of “concierge” services are not allocated based on the communities you engage with or level of wealth—but are broadly available if you know how to use the technology to reach them. 2. Mobile tech creates new channels of distributing products and services. Gone are the days that a company must budget inordinate sums to reach audiences using traditional channels of media such as billboards, radio ads, television ads, newspaper ads to announce new products and services. Mobile access to social networking apps such as Facebook, Twitter, Pinterest, Yelp, YouTube and others along with mobile tech innovations such as geofencing and QR code reading can help alert you of nearby goods and services. Perhaps most interestingly, you can more easily monetize that which was before non-monetizable. Before if you could pick someone’s dry cleaning, it would be hard to find a market and advertise your skill. But now, all that could be required is downloading the right app and creating a profile. Mobile tech has the potential to really propel the sharing economy. Car-sharing, home-sharing, office-sharing, popup shops, and so many other resource-sharing services are able to be agile and efficient thanks to mobile tech apps. The instantaneous communication creates new platforms for decisions to be made quickly and payment to be tendered instantaneously. 3. Mobile tech provides new forms of payment. Not only does mobile tech offer new levels of access and channels to learn about products and services—but it gives new ways to pay for them too. There are traditional forms of payment (bank transfers, checking, and credit card), new forms (PayPal and mobile banking), and innovative alternative forms (Bit Coin, and other new alternative currencies). Mobile technology is disrupting the way we pay for things—and creating more dynamic forms of payment. There are also new apps and websites that enable equitable bartering so you can exchange a block of your time and expertise in social media savvy for another’s time and know-how in home contracting work. 4. Mobile tech creates new barriers and concerns. While reducing traditional socio-economic barriers, mobile tech also creates new ones. Smartphones can be costly and the high monthly fees can be prohibitive. And the challenge is that there is no in-between without a smartphone or tablet an individual loses access to all of the benefits. Just as there are homeless shelters there may be a need for mobile tech centers for individuals to access and utilize mobile tech advances, learning, and apps. Additionally, mobile technology creates new security concerns. A smarphone, logged into all of your email and social media accounts, that contains banking information, all of your contacts, and text message conversations is a prime target. 5. Mobile tech and a new kind of illiteracy. Innov8Social recently delved into issues of literacy in the U.S. and innovative tech responses to address the divide. Interestingly, mobile tech highlights a new kind of illiteracy–technological illiteracy. For the elderly or those otherwise not familiar with how to use mobile technology, the world could become more overwhelming and frustrating. And with new updates being released regularly, even those who have a basic level of understanding, may feel inundated with advancing technology. We are in a transformational time for mobile technology. Advances in science are letting us use mobile devices for new purposes—such as monitoring our health, managing our finances, communicating effectively, and participating in the broader economy. With that great potential comes cautious acceleration. We must guard our safety and privacy as we move forward and find new and better ways to address pressing urban issues. Innovation is not effective when seen as a sedentary object that be passed from company to organization, or that merely serves to accessorize an office desk or town hall meeting. Innovation is better understood when seen to be a living, breathing entity that mixes, blends, challenges and inspires impact in diverse industries, cultures, and organizations. Acknowledging this dynamic nature of innovation, two prominent institutes known for teaching organizational strategy and process are teaming together to present the first conference of its kind.The 1st annual Strategic Execution Conference is is being hosted by IPS Learning and the Stanford Center for Professional Development on April 24-25th at the Hyatt San Francisco. The conference will bring together organizational leaders and change agents to discuss, explore, and connect on issues surrounding organizational strategy, execution, experience, design, and impact.Innov8Social had a chance to talk to Chief Learning Officer and key organizer of the conference, Tim Wasserman. In his role, Tim also serves as Program Director of the Stanford Advanced Project Management program, where he teaches a number of courses. How do Strategic Execution and Innovation Connect? In explaining how the conference came to be, Tim emphasized that IPS and Stanford already have a fourteen year partnership centered around teaching strategy and execution. Additionally, the entities collaborate to offer a Stanford Advanced Project Management Certificate. Tim mentioned that over 4500 students have ‘graduated’ from the certificate program, and nearly ten thousand individuals have taken participated by taking a course in the subject. He explained that many graduates from the program inquired about how to connect with others in the field, other graduates, and to learn about the ‘real world’ application of strategic execution theory outlined through the coursework. And thus, the seed for the conference was planted. Participants and graduates of the Stanford Advanced Project Management Certificate program are encouraged to attend. Additionally—since the focus is on real-world application and learnings—executives and leaders in of social enterprises, companies, and non-profits would not only gain but also be able to add value to the ongoing conversation about execution and process. What Should an Participant Hope to Gain from Attending? 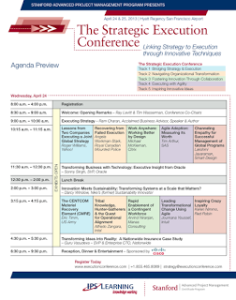 The conference organizers recently released the official agenda for the Strategic Execution Conference. For social innovators, the Wednesday afternoon keynote speech by Nike’s former Sustainability Innovator, Darcy Winslow—will be of interest. Since the field of strategic execution and process has been evolving and developing for a over a decade, social innovators can also stand to learn by asking questions about how project managers measure impact, and how project management differs and parallels when applied to social enterprise. You can find out more about the conference and register on the Strategic Execution Conference website. The organizers of the Strategic Execution Conference are offering Innov8Social readers a special offer for the event. Catching Up On Community Leadership Summit 2013 (#CLSWest)…For Those Who Missed It! If you love social media, online communities, and the people that power the magic…yesterday’s Community Leadership Summit West 2013 (held Sat. 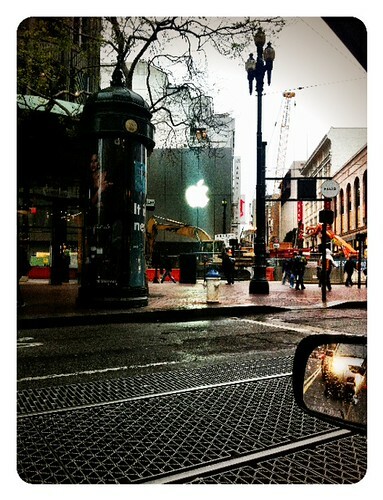 Feb 2nd 2013 in San Jose) was the it place. Period. If you, like me, couldn’t make the event—-there is a silver lining. At a conference bringing together community leaders and managers adept in the digital space, there is a wealth of learning and sharing about the event online. 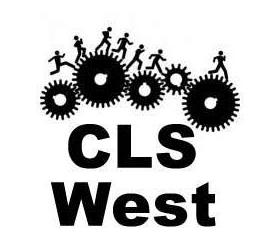 Below is an overview of what went on at #CLSWest using Storify. https://www.innov8social.com/wp-content/uploads/2013/02/Screen-Shot-2013-02-03-at-9.04.46-AM.png 252 271 neetal https://www.innov8social.com/wp-content/uploads/2018/05/innov8social_logo_gray1.1.png neetal2013-02-03 17:08:002015-08-01 10:22:29Catching Up On Community Leadership Summit 2013 (#CLSWest)...For Those Who Missed It! Here is list of 25+ tools to build your inner entrepreneur.That’s it. Just a compilation of lectures, publications, blogs, news, learning tools, and more; in no particular order.Whether you were born an entrepreneur or are called to be one, one or more of these tools might help you hone your skills and sharpen your instincts. So, peruse, learn, and then flex your inner entrepreneur in whatever setting you find yourself in. Don’t find a tool you love? Just add it in the comments and we can incorporate to the list. A special thanks to my fellow participants of StartUp Weekend Next SF (Oct 2012) for contributing their favorite tools to the list! Steve Jobs — book by Walter Isaacson based on 100+ interviews of those who knew the Apple Co-Founder and CEO, and 40 interviews with Jobs himself. Candid, honest account of an innovation & entrepreneurship luminary. Life Entrepreneurs: Ordinary People Creating Extraordinary Lives — book on entrepreneurial leadership by Christopher Gergen and Gregg Vanourek, founders of Mountain Ventures. Codeacademy — learn how to code through these online, interactive classes. 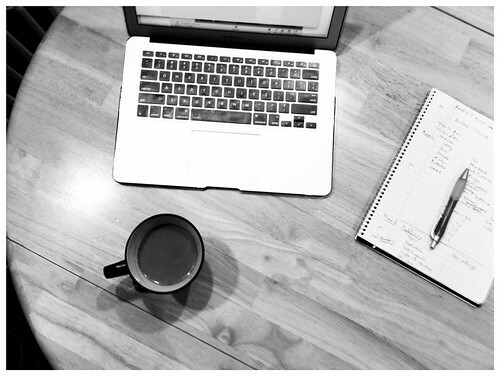 24 Must-Read Blogs For Entrepreneurs — article by Alyson Shontell of Business Insider. Links to blogs by entrepreneurial thinkers such as Guy Kawaski, Penelope Trunk, Seth Godin and more. Meetup — search “entrepreneurship” to find meetup groups for start-ups, bootstrappers, and entrepreneurs, possibly just like you. 10 Legal StartUps to Keep You Out of Trouble — blog post by Natasha Murashev, of StartUp Stats, re: new legal startups on the scene, including those that have forms available for startups. Facebook Groups — These private groups can be a way to manage internal communication on Facebook. Besides, you’re probably on FB all the time anyway—might as well get your startup updates here too! HootSuite — manage your startup’s Twitter, Facebook, LinkedIn, Google+, etc. accounts from one place and schedule posts too. In whatever stage of your social entrepreneurial dream you find yourself in, there is something you may have noticed. There is a power in momentum. Here’s insight on the momentum that led to the launch of BlendedProfit and to my involvement with the new site. Momentum. It can be challenging to build, and once achieved you have to think strategically about how to maintain, pace, or even shift it. One interesting aspect of momentum that I have noticed is that once it is set in motion, it can actually build on itself. 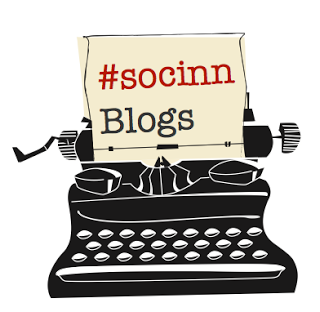 I have been writing on Innov8Social for over a year this week. It has been amazing, exhilarating, and eye-opening. Parts of it have been marked by solitude and self-motivation, and others have been built on collaboration, attending events, and meeting thought leaders. One aspect of my social innovation journey that I realized I wanted to build a few months ago, was working with a team. I think some of our best work emerges when we work with and alongside dynamic thinkers, dedicated to exploring a field or concept from various angles. So it was a welcome surprise when one Brian Weinberg connected with me over social networks after reading one of my blog posts. He talked about his idea about a new site featuring podcasts by thought leaders and helpful resources for social entrepreneurs and innovators (he had seen Innov8Social’s list of fellowships), and he wanted to know if I was interested and what I might be able to bring to the table. And just like that, a wheel was slowly put into motion. That was months ago, over half a year even. 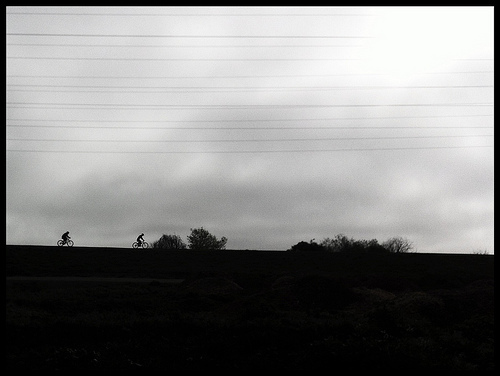 The idea was big and, in some ways, amorphous. Conversations, emails, Google hangouts, text messages, and cloud-based documents slowly chiseled it into something we could understand, participate in, and contribute to. Brian’s podcast interview with Sam Daley-Harris (former Director of Microcredit Summit Campaign and thought-leader in micro finance) was not only informative and professional, but provided a footprint of possibility for how these interviews can give useful insight on past and current social innovation efforts. When the website mockup of BlendedProfit was released, it further fueled the momentum. Our journey with BlendedProfit is on its way, and no doubt the months ahead will show evolution and growth in content, organization, and a better sense of how the site will engage and serve the audience. But the journey for you is just beginning. Now is the time for you to connect with the idea of a good economy, one based both on profit and on values of sustainability, social responsibility, and environmental tenets. You can connect with BlendedProfit on Facebook and Twitter, so we can continue the journey together.